When you're looking to rule the world, it's always good to have a respected ‘King' leading the charge. Known as ‘King Henrik,' there's no doubting Henrik Lundqvist will go a long way in determining how Team Sweden will fare at the upcoming Olympic Winter Games in Vancouver. If past history is any indication of their chances at winning gold, Swedish players and fans have plenty of reason for optimism. Lundqvist's most memorable international performance came at the 2006 Winter Olympics in Turin, Italy, where he led Sweden to the gold medal over their arch rival, Finland. 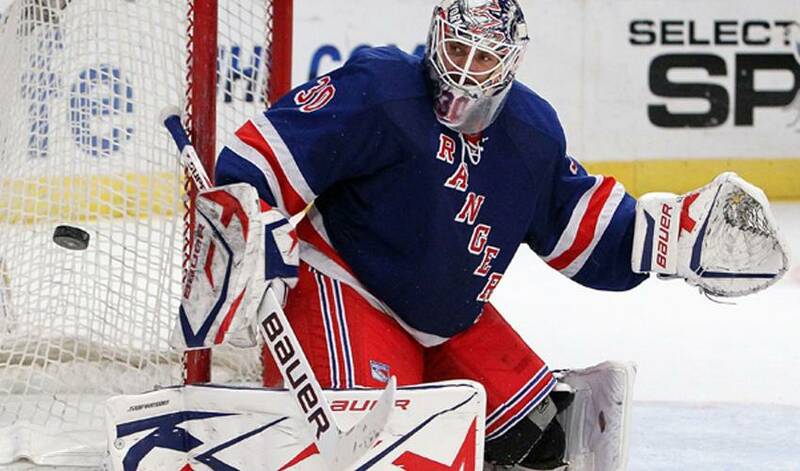 In six Olympic starts, Lundqvist went 5–1, allowing just 12 goals with a .907 save percentage. It was sweet redemption for Sweden after a disastrous 2002 Olympics in which they lost to Belarus and skated away finishing in fifth place. “I know I was watching the game but I don't remember where it was, actually,” recalled Lundqvist, of the unexpected loss. “It feels like such a long time ago. I don't know, I remember I saw the game, but everyone else was kind of shocked after the game. Things started to happen. Especially now the teams are getting stronger and stronger, even the smaller teams, if you can say the smaller nations. And while there is no shortage of top-tier goaltending at the upcoming Games, Lundqvist is certainly at or near the top of the list of talented backstoppers, one who boasts of a stellar international career. Ludqvist is the all-time leader among goaltenders, and eleventh overall of all players, in games played for the Swedish national junior's ice hockey team. At the 2001 World Junior Ice Hockey Championships in Moscow, Lundqvist led the Swedish national junior team to a fourth-place finish in the tournament. After an upset 3–2 win over the host nation in the quarterfinals, Sweden lost 1-0 against Czech Republic in the semi, and 2–1 in overtime against Canada in the bronze medal game. Lundqvist was selected to the 2003 Men's World Ice Hockey Championships as the third string goaltender behind Tommy Salo and Mikael Tellqvist. The following year at the 2004 Men's World Ice Hockey Championships, Lundqvist took the reins as starter and was selected to the tournament all star team. In the Euro Hockey Tour during the 2004–05 season, Lundqvist was named best goaltender in the Karjala Tournament and Sweden Hockey Games by the directorate and was selected to the media All-Star squad in both tournaments. At the 2005 Men's World Ice Hockey Championships in Vienna and Innsbruck, Austria, Lundqvist played in all nine games during the tournament where Sweden lost the bronze medal game against Russia. Lundqvist believes international play has been a huge boost to his NHL career. Lundqvist, who won two of Sweden's most coveted awards in 2005, the Golden Puck (player of the year) and Golden Helmet (MVP as decided by a vote of its players) continues to be one of the NHL's most consistent goaltenders. He has also become one of the most revered athletes in his native Sweden and New York. Another crowning moment, in the form of Olympic gold, wouldn't be so bad either.